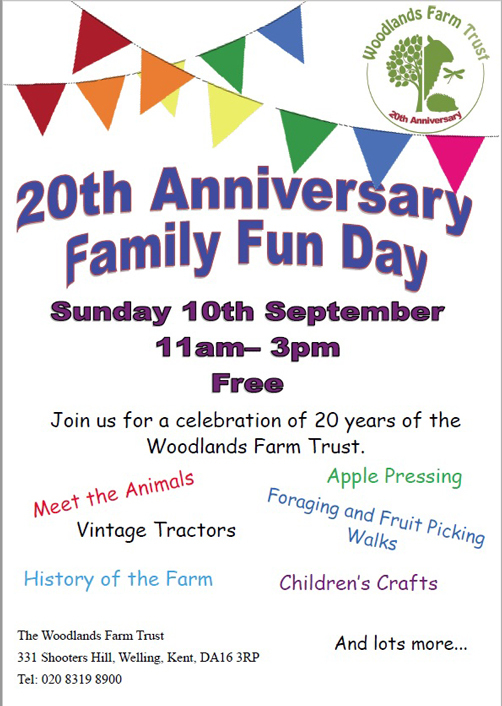 It is 20 years since the Woodlands Farm Trust was established to run the farm following the successful People Against the River Crossing campaign to save the farm and Oxleas Wood from being destroyed to create a motorway, and as part of their celebrations the farm are holding a Family Fun Day this Sunday, 10th September. Woodlands Farm is celebrating its 20th Anniversary. Join the celebrations by coming along to our Family Fun Day. 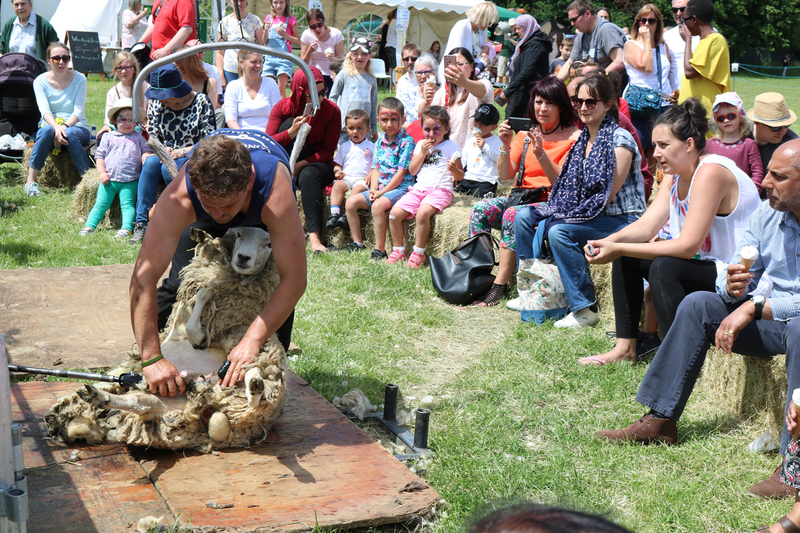 Find out all about how the farm was saved 20 years ago as well as what is involved in the day to day running of the farm with a chance to meet the animals and find out about animal care. There also will be guided foraging walks and apple pressing. 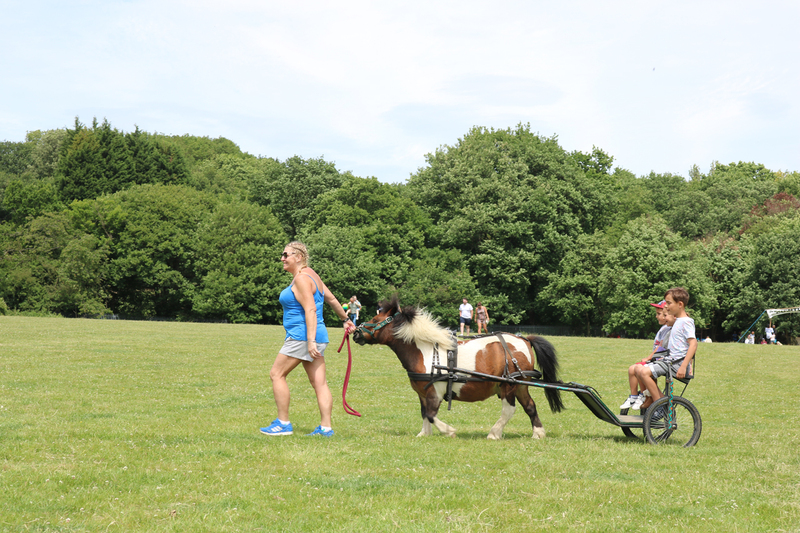 Our activities include children’s crafts, trails, vintage tractors and lots more for all the family. On the day we will be collecting memories from people who remember the farm from years ago or even memories of recent years. If you previously volunteered or assisted the farm please join us at our memories area to catch up with old faces and share your experiences at the farm. A fun day out for all the family! This event is free, but donations are welcome. It’ll be fascinating to find out more about the events that led to the farm and woods being saved for the local community.